Our Live Her Life Party is the best way to learn more about what we do by experiencing (really fun) parts of Zambian life. We will provide you with a box of goodies and an itinerary for the night — all you need to do is invite some of your best girl friends (7-10 people), and get ready for a fun party for a great cause. We will provide you with Nshima, a Zambian staple, to cook at your party! This is just a fun taste of what our staff and students enjoy everyday. You and your guests will spend some time crafting your own bracelets out of chitenge — traditional Zambian fabric. A step-by-step photo guide is included! This is our favorite part! You and your guests will have the chance to watch and read real stories about real women who have been through our program. You can connect with women who live thousands of miles away. How great! We want the Live Her Life party to be a night to remember. Whether you invite a brand new group together or gather with old friends, it will be a great opportunity for you to connect with other women in your community. 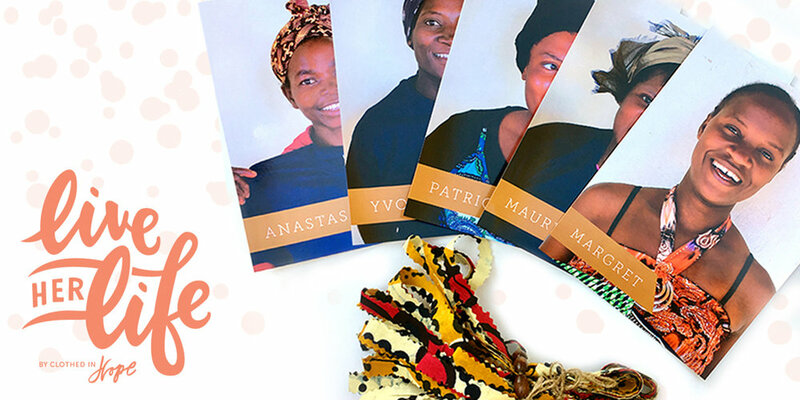 You'll learn how your small group of friends can make a big impact in the lives of Zambian women who are just like you. For $25 including shipping, you'll get all the materials you need to throw an awesome party, including goodies for your guests, all bracelet materials and cooking ingredients, and even some exclusive content and items just for you, our beloved Hostess!